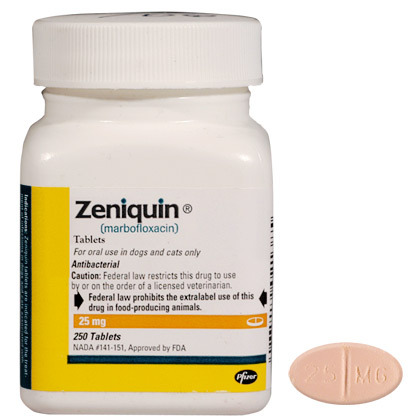 Zeniquin is a synthetic broad-spectrum antibacterial. Zeniquin is a synthetic broad-spectrum antibacterial. Its indicated for the treatment of infections associated with bacteria susceptible to marbofloxacin.